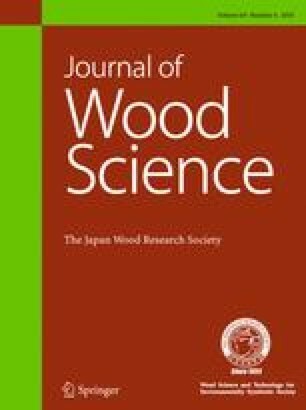 Transmittance and reflectance of visible light by sugi wood (Cryptomeria japonica) were investigated in the longitudinal (L) and tangential (T) directions. Transmittance was the highest in the L direction and reflectance was the highest in the T direction, suggesting that structural anisotropy influences transmittance and reflectance. Intra-ring variations observed with a microspectrometer indicated that T transmittance was higher for latewood than for earlywood, but there was no such trend in for L transmittance in which the highest levels occurred near the annual ring boundaries, on either the earlywood or latewood side, and the lowest at the transition from earlywood to latewood. Dependence of L transmittance on wavelength also showed variations according to the intra-ring position. The increasing of transmittance of earlywood at wavelengths < 500 nm with increasing wavelength was observed, but this was not confirmed for latewood because of absorption by lignin. These observations supported a previously published finding, which was based on measurements in the radial direction, that the number of internal cell wall reflections, rather than density, determines wood lightness. Indeed, in the L direction, most of the incident light passes through lumens in earlywood and through cell walls in latewood, while it is subjected to numerous internal reflections at the interface between lumens and cell walls. This was further confirmed by the transmittance of earlywood being greatly decreased by radial compression.